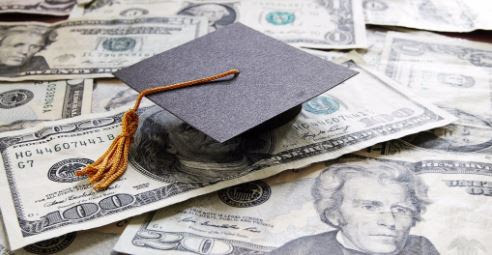 A new study released by the American Enterprise Institute reveals a disconnect between tuition levels at traditional 4-year colleges and the direct funding levels that come from the state government. It shows that less than 5 percent of changes in direct state funding actually get passed through to college tuition costs. In other words, for every hundred dollar decrease in per pupil government funding to an institution of higher education, tuition costs will only go up by $5. This doesn’t match the typical narrative of many politicians that argue for more government aid to universities. For example, a former 2016 presidential candidate blamed “state divestment” in universities for skyrocketing tuition costs. But if we were to follow their logic, government spending on public colleges would have to increase by $20 per pupil to drop tuition by just $1. In fact, in order to reduce tuition levels back to that of 2004, the state governments would have to increase funding to universities by 1,000 percent—or $473 billion. A reduction in direct state funding is obviously not the dominant factor behind elevating education costs. The education cost epidemic is actually rooted in increased government-to-student financial aid transactions. When more student money—or funding given to the student by the government—is available, universities are incentivized to raise their tuition. It’s not greedy, it’s just supply and demand. For example, if the government subsidized a certain restaurant by giving people $5 every time they visited the establishment, customer traffic to the restaurant would obviously increase because prices would be artificially low (aka. The demand would increase). But after a while, the restaurant would be subjected to the traditional laws of supply and demand—meaning that when demand increases while supply stays stagnate, prices will rise. In other words, the restaurant’s owner will raise the cost of a burger. College prices are out of control and handing over more of your tax dollars will only exacerbate the problem.